Time to freshen up our closets with some great everyday essentials and pops of print! 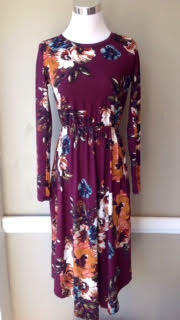 We received some great pieces to pair back with the latest spring fashions and tie your signature style together. We have new colorways of our customer favorite swing cardigan, which is the perfect weight for this transitional weather, transitioning from day to night. We also just received some beautiful floral tops and dresses, creating the most chic style options for this Easter weekend! Not to mention the seasons most trend-worthy sandals for the sunny days ahead, also just in. Swing on by so you don't miss out on all your spring essentials. Hope you all had a cheerful and relaxing Thanksgiving! Here's what's new, just in time for Small Business Saturday!